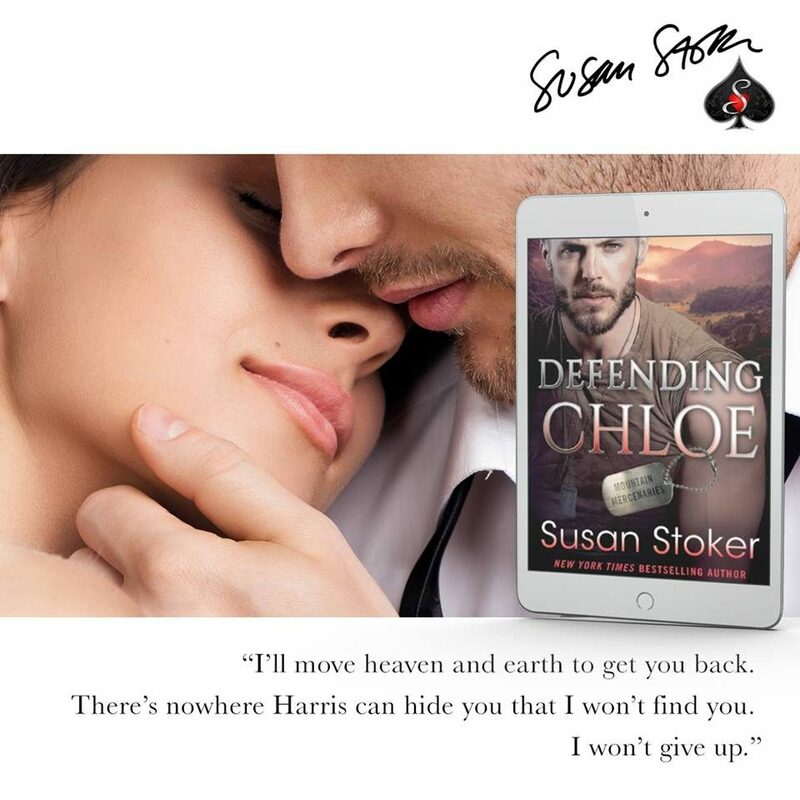 Review – Defending Chloe by Susan Stoker – 5 Heart Racing, Suspense Filled Stars!!! 5 Heart Racing, Suspense Filled Stars!!! Ro knew the minute the mysterious woman found herself on his property, she was in danger; he also couldn’t deny the pull he felt towards her. Will Ro and his Team help Chloe before it’s too late, and will they risk the reputation of the Mountain Mercenaries in the process? Susan Stoker has excelled with her talent for writing another amazing story. I loved every moment of Defending Chloe, Susan Stoker never failed to keep me on the edge of my seat, throughout. I love how she captures a scene, almost like you are right there in the thick of it all, experiencing everything along with the characters. I found Ro an interesting character, he was a determined, strong, character. It was clear he thought a lot of his team and once he set his heart on something, or helping someone, he would do everything in his power to see it through. Being British myself, I enjoyed the little moments where his British sayings came out, I feel that Susan captured his background well, and I hope this won’t be the last British character she writes about. Chloe was amazing, it was clear she was a very strong person. To have gone through all she had and still be standing, trying to break free, was outstanding. She is a loveable character, one you would love to have by your side as a friend. This series is shaping up to be another incredible series from Susan Stoker. If you love romance and suspense, check out the Mountain Mercenaries series today!